Awareness training is a fast growth industry, yet good awareness training for resellers is hard to come by today. That’s surprising as CSO noted that IBM found that 95% of all security incidents involve human error, and Gartner research VP said the security awareness training market exceeds $1 billion in annual revenue globally, and is growing 13 percent per year. The cyber awareness market is growing as employee training is required in government regulations (GDPR, NY, etc), third-party risk assessments, customer requirements, and leadership teams that understand the risk. IT service providers like MSPs, consultants, and vCISOs recognize the value for their clients as it minimizes risk, empowers employees to make better decisions, and creates a culture of awareness within their customer organizations. Increase Compliance – Regulatory compliance protects your customers and their employees, avoids fines, and meets compliance requirements with PCI, HIPAA, GDPR, SEC, FINRA, etc. New Revenue Stream – Almost forgot about this one – new services, new customers = a great revenue stream. Awareness training for resellers is costly – making it difficult to integrate into a resellers or MSPs business as a new revenue stream. There are two models for resellers to deliver cyber security awareness training for their customers. Build in-house – Employee cybersecurity awareness platforms have a few parts that make it costly to build – the content, the delivery platform (LMS for tracking progress), and maintenance of both. Writing and developing content can be cheap (and bad) or expensive (whether that monetary or time intensive). Sure, you can throw a powerpoint presentation together and have your customers read through it, or watch it from your portal, but at best employees won’t actually pay attention. At worst, your customers will think you’re wasting their time. Developing good content is expensive – whether that’s high quality video or animation. Please don’t be these guys. One of the most expensive parts of developing cyber awareness training content in house is updating it to fit with new best practices, changes in policies, or custom customer requests. If this is not your core business, it becomes oppressively time consuming and expensive. Finding Awareness Training for Resellers – Cyber awareness is a growing market, and the big providers are large, well funded companies. That makes it difficult for them to provide fair discounts and margins for their cyber awareness training resellers. Small companies may not have the features or support to deliver quality training for your customers. Training topics – Cover all of information security, not just phishing. Learn more about the topics that you should cover in an employee training program. 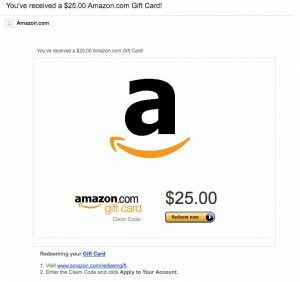 Simulated Phishing – Training employees is important, and reinforcing that training with simulated phishing campaigns increases awareness and retention. It also allows you to track improvement, and provide your client with an ROI of their investment. Progress Monitoring – You have to be able to track progress of employees both in the training courses they’ve been enrolled in and the phishing campaigns. Inevitably every company has a few employees that ignore training, or are too busy to finish, so you need a system to track their progress. When looking for awareness training for resellers these are all important features. Co-Branded – If you’re a small reseller looking to have your brand associated with delivery of employee awareness training and phishing, finding a partner willing to co-brand is ideal. Wuvavi approaches co-branding in a partner focused way – allowing their partners logo to be prominently displayed on the platform, powered by Wuvavi. The benefits of co-branding is that your customers see you’re using a best in class solution and associate it with your brand. White Labeling – White labeling awareness training allows you to deliver an awareness program developed by another company, and rebranded to appear as if you’ve developed it yourself. White labeling allows you to strengthen your brand with a high quality platform while minimizing the cost of development and maintaining the solution. Wuvavi has a best in class design team that works closely with their white label partners to ensure the content and platform meet the partners branding standards. Finders Fee – Some MSPs and resellers see little demand for employee awareness training. If you have a one-off opportunity for employee awareness training it’s important to find a company that provides a finders fee for your customers business, and allows you to retain the relationship. Wuvavi provides generous finders fee options for one off opportunities. Learn more about these options at Partnering with Wuvavi. Simple Pricing – Awareness training is just one revenue stream for your business – so pitching, quoting, and closing your clients has to be a simple process. Requesting quotes from the awareness training manufacturer takes time, and increases the likelihood that your customer finds another solution, or another problem to focus on. Wuvavi provides a simple pricing model for customers and resellers so you can quote customers without assistance, and close the deal quickly. It’s seriously simple. You don’t even have to request a quote…we have nothing to hide…seriously, it’s right here – https://wuvavi.com/pricing/. Great Content – Great content is hard to come by because it’s expensive to product and maintain, but it’s extremely important for your business. Of course, employees are more likely to pay attention to and learn from great content, but the value for your business is that your brand will be associated with the quality of the content. If you provide bad quality, low production, or boring videos your customers will notice. Wuvavi’s training is professional written, animated, and produced so employees can actually learn from and enjoy awareness training. Support – Similar to the content being a reflect of your brand, so is support. It’s important for your awareness training vendor to provide support pre and post sale to ensure you and your customers have an amazing experience. At Wuvavi we believe that partnerships are only successful if all partners win, and that’s how we approach every partnership. Our goal isn’t to squeeze every dollar out of you and your customer, or sign up every MSP on the planet so all of your local competition has the same service. Our goal is to provide an enterprise grade employee awareness training for resellers that’s easy to use, provides the ability to create a real revenue stream for our partners, and provides a competitive advantage for our partners. 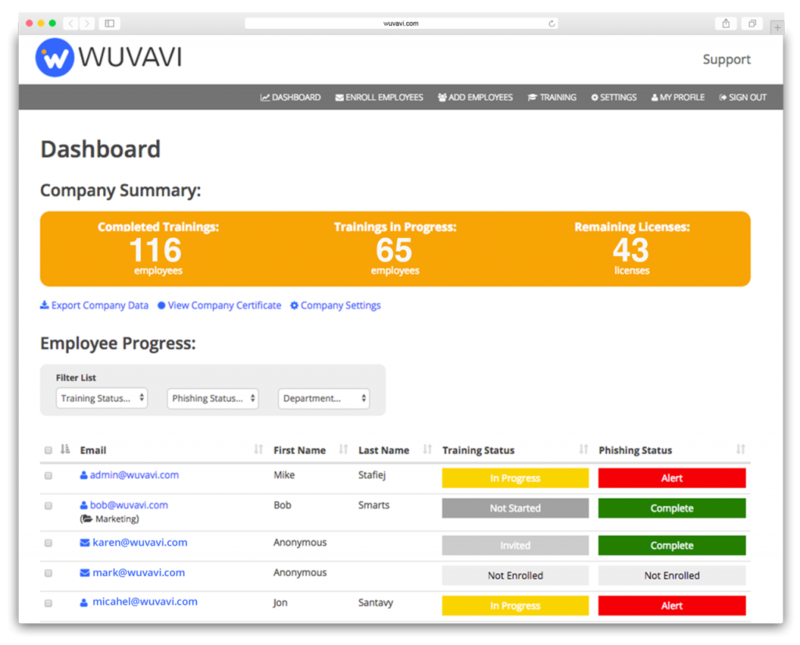 Wuvavi provides co-branded, white label, and finders fee options so that resellers can deliver an employee cybersecurity awareness training platform that makes sense for their business. Quality content. Simple pricing. Great support.